Rice originated in Asia and, along with pasta, was brought to the Mediterranean by the Moors. When the Moors invaded Spain, they brought both products with them. The Moorish casseroles of rice and fish established the custom of eating rice in Spain. Paella (pronounced pie-AY-ya) was originally made by agricultural laborers, who cooked the mixture of rice, snails and vegetables in a pan over an open fire in the fields. The original paella is made with two different kinds of beans (one a big white Valencian bean called “garrofón” and the other a green-flat bean), a meat mix (snails at first, then later chicken, rabbit and also duck). It was at first a communal dish, eaten directly from the pan with wooden spoons. Other Valencians closer to the coastline added eel and butter beans. The more elegant paellas loaded with chorizo, chicken and seafood did not evolve until living standards rose in the late 18th century, when the dish went upscale. There is an old story of how the Moorish kings’ servants created rice dishes by mixing the left-overs from royal banquets in large pots to take home. It is said by some that the word paella originates from the Arab word “baqiyah” meaning left-overs.The term Paella actually refers to the pan that it is cooked in. All the way back to the ancient Sanskrit language the term Pa means …to drink, and the Roman culture from the latin made words like Patera, Patina , Patella which could mean a container to drink, or perform other culinary functions. The dish Paella is said to to be a perfect union between 2 cultures from Spain: the Romans, for the pan and the Arab, that brought rice. Also, in Islamic Andalusia Spain symbolic dishes with rice and different meats and vegetables like a casserole were cooked for special occasions. Some of these dishes may be the roots of some of the Paella recipes. Valencia is where the Romans introduced irrigation and then the Arab conquerors that brought rice, prefected it. Many folks say the best Paella and most authentic still comes from Valencia. “La paella” is a cooking utensil, traditionally and preferably made of iron, but now often made of stainless steel. The base of the paella is flat and should be of a good thickness. 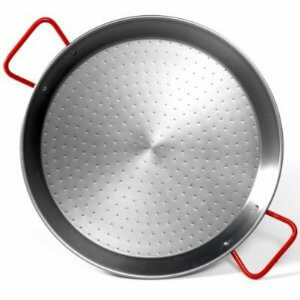 The pan is circular and shallow, and has two round handles on opposite sides. 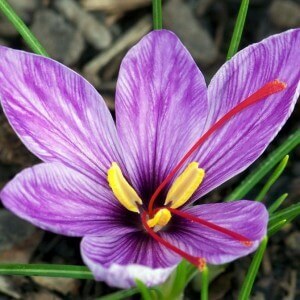 The word itself is old Valencian and probably has its roots in the Latin ‘patella’ (a flat basket in Galicia). The Castilian ‘paila’ and the French ‘paele’ mean the same thing. Today, the pan is called a paellera, but that term evolved after paella became popular. Paelleras are round and shallow, made of polished steel with two handles. A large number of chefs still use cast iron pans. There are two types of rice from Spain that are used to make Paella. They both have small rounded medium size grains that absorb the flavors and stock well, but also keep their shape. 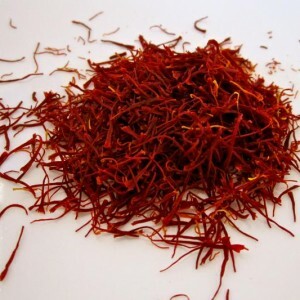 This is different than the rice used for Risotto which breaks up a bit and develops a creamy texture. 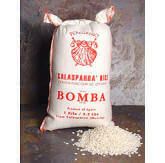 The most popular rice used for making Paella today is the Bomba rice. Valencians on the Mediterranean coast used the plentiful seafood instead of meat and beans, to make seafood paella. Later, the seafood concept was combined with the original Valencian recipe and mixed paella was born: a saffron-flavored rice dish with meats and seafood, along with roasted red peppers, olives and other local vegetables. Paella has become popular throughout Western Europe, North America and Latin America, and was adapted by European immigrants to Louisiana, who used local ingredients to create the dish known as Jambalaya. As you will see from the photos below, Paellas come in many forms today and are as different as the chefs that prepare them.